Limp, dull texture that falls flat is not a hair issue reserved to only straight and wavy-haired people. Type 4 coily natural hair also deals with a lack of luster due to a number of factors--typically from using products packed with silicone, bad alcohol, sulfates, and other harsh ingredients that strip the scalp and roughen the cuticle. 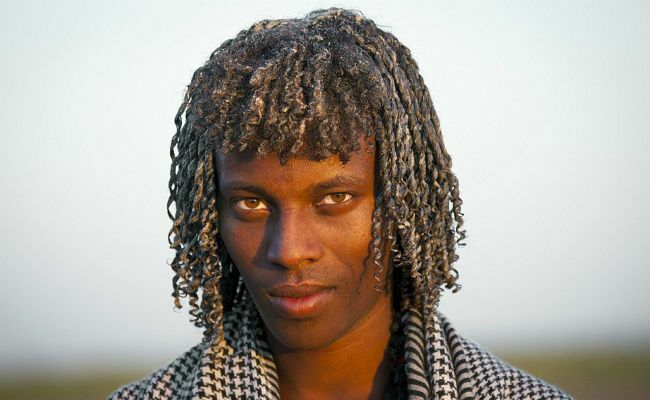 If this sounds like you, it may be time to try what naturals call the "Ethiopian Hair Secret." The great thing about treatment is that it is fairly easy to follow and inexpensive--you can do it right in your dorm room. According to Sarah Bridge of The Daily Mail, slathering butter on hair and scalp started as a wedding tradition for a number of Ethiopian tribes like the Afar, Borana, and Hamar. 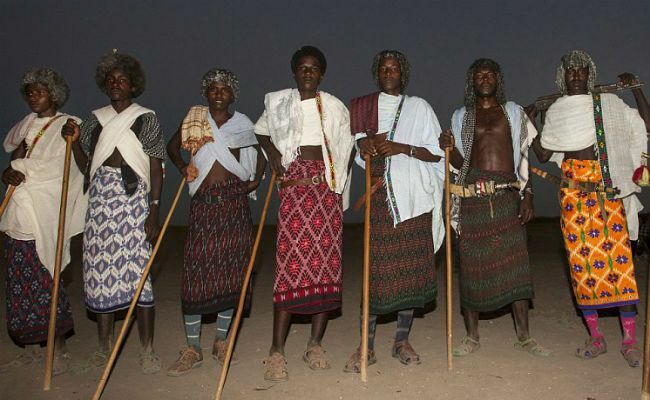 The men adorn their nature-given crowns with 'asdago' afro styles. It serves as a way to "protect their scalp from the sun, keep their afros and dreadlocks in place," and is seen as a blessing. Sometimes, other men will spit atop the head to add their blessing to the newlywed couple. Many Ethiopian tribes slather butter onto their hair and scalp, protecting it from the sun--and to bless themselves during their wedding. 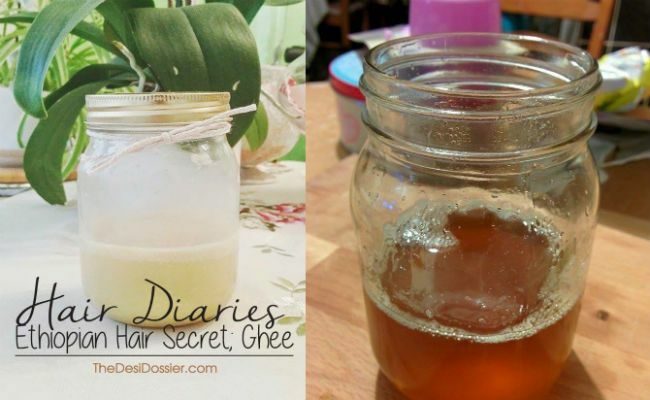 The Desi Dossier says she first heard about this on-the-hush hair treatment from a friend who would travel to Ethiopia and get them there, "where home made clarified butter (ghee) is applied to hair and leaves hair really healthy." 1. 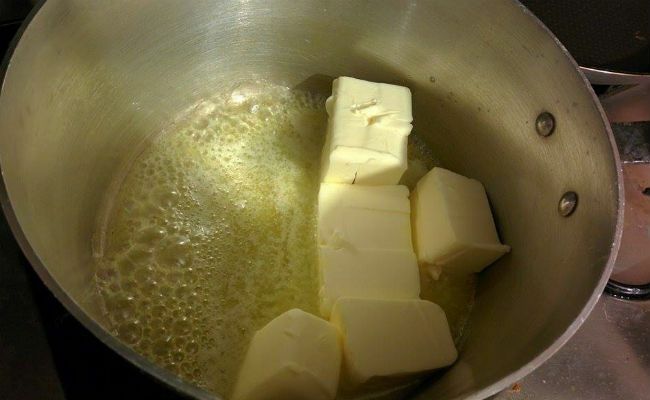 Cut the butter into cubes and put in the saucepan on a low heat until it melts. 2. 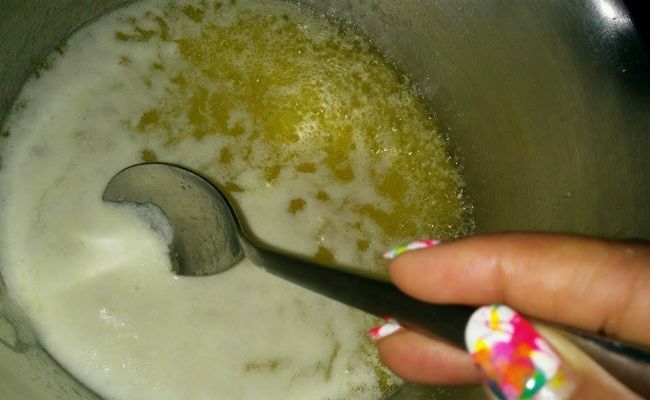 The butter will start melting, boiling, and separating into a foamy layer and a golden one. 3. Begin skimming the foamy one with a spoon. 4. 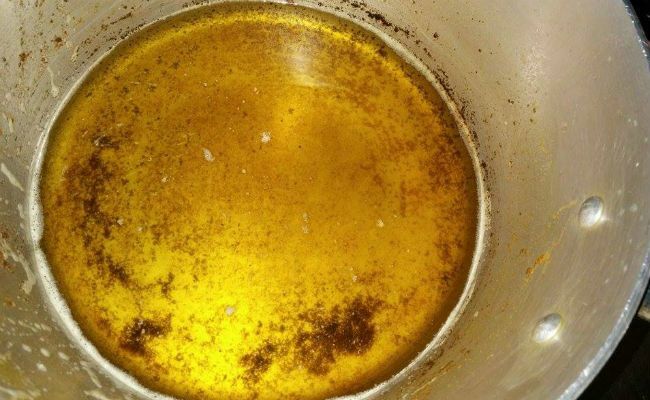 Once you remove the foamy, white layer completely, strain the golden liquid through a metal sieve. 5. Let the butter cool for a few hours before using it for the first time. 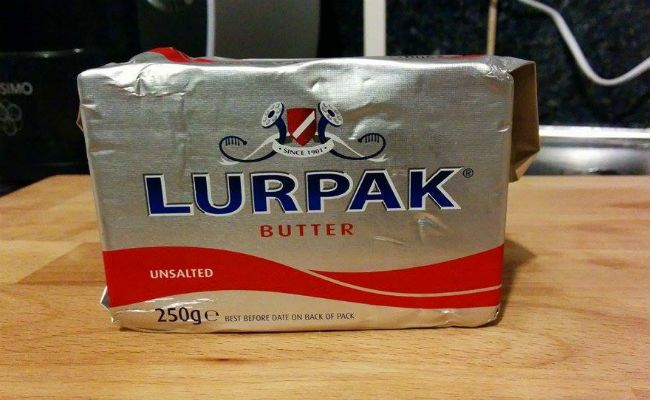 Use a spoon to scoop the butter out in the future (so you do not contaminate the jar). Before using, warm your amount up and then apply to your hair for super penetration. Store away in the fridge and use as needed. Keep this batch for 3 to 4 weeks before making another one.